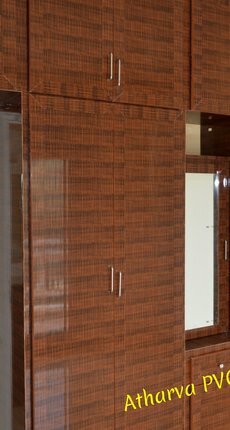 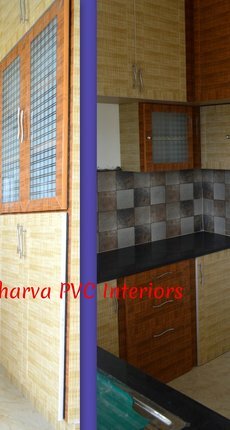 We Started PVC Interior work in 2001 @ Tamil Nadu [ Karur, Dindigul, Oddanchatram, Erode & Hosur ] and we have completed the interior works for more than 3200+ customers. 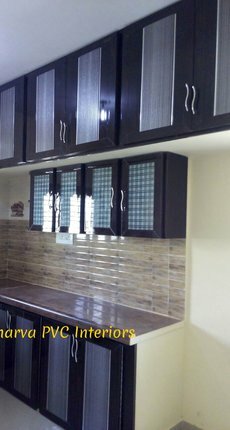 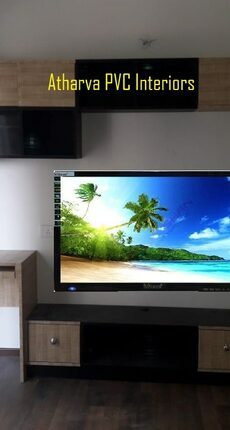 We are the one who initially started the interior works in PVC. 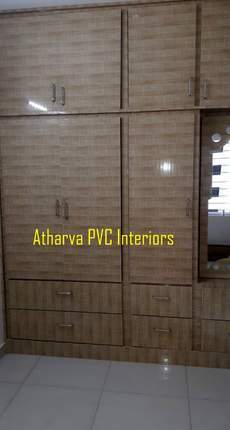 Initially we started the PVC works with Loft covering and in 2003 we made the first wardrobe shelf. 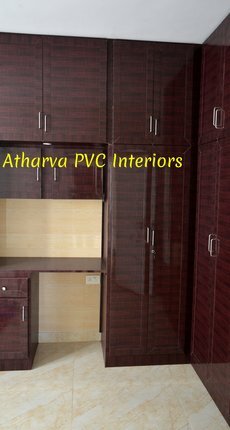 Further we started PVC works for Kitchens and other storage shelfs. 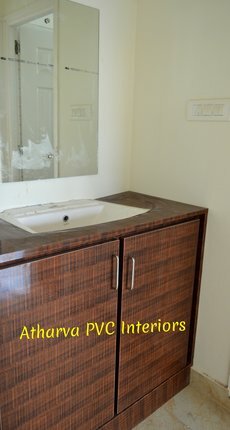 In 2004 we completed the interior works in PVC for the entire house. 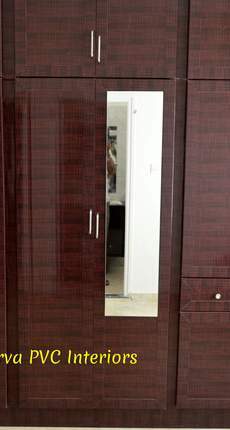 As of now successfully completed more than 3000 happy customers in Tamil Nadu. 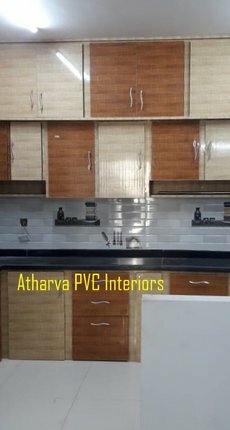 We have a well trained and 15 years of experienced PVC carpenters. 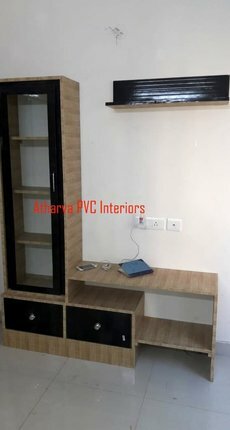 Any designs/models can be create by our team by using PVC. 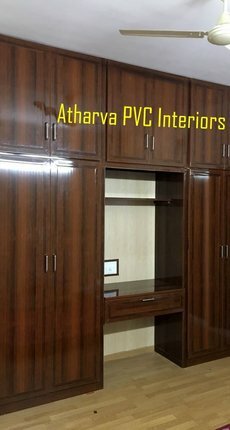 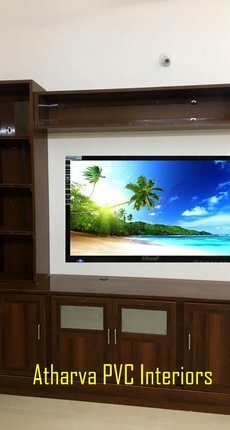 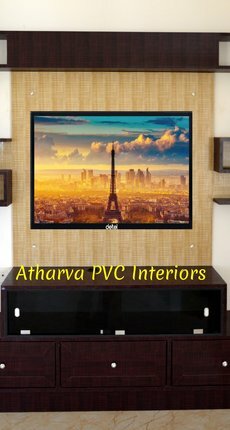 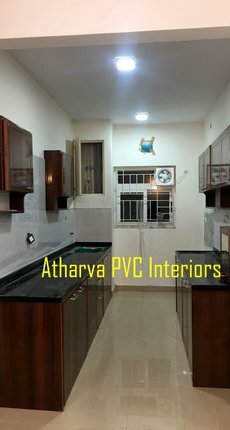 In 2012 we opened our branch in Bangalore in the name of Atharva PVC Interiors and completed PVC interiors works for 190+ happy customers. 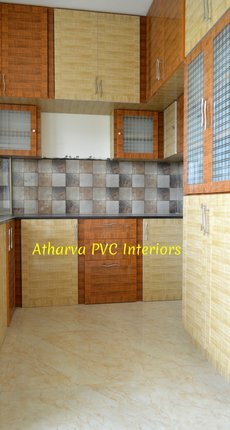 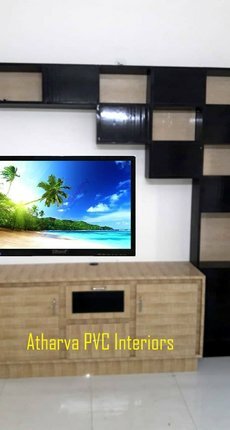 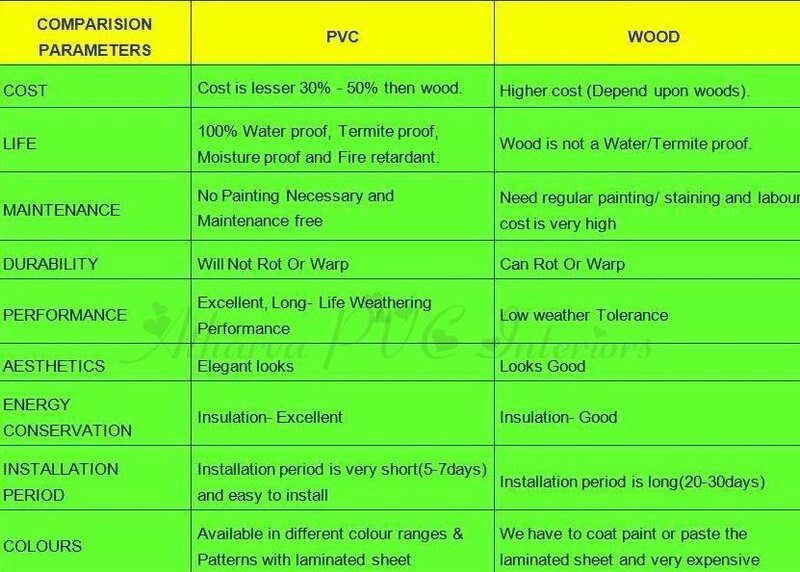 PVC CEILING & PVC WALL PANELLING.